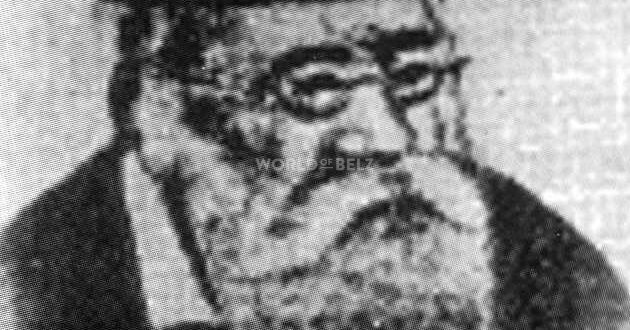 Today is the Yartzeit of Reb Yehoshua Rokeach z”l, the second Belzer Rebbe, referred to by Chasidim as “Der Mitele Ruv”. His Keduashah, ‘Tzidkus’ (righteousness), and leadership shaped Belz and the whole Jewish community for many generations. 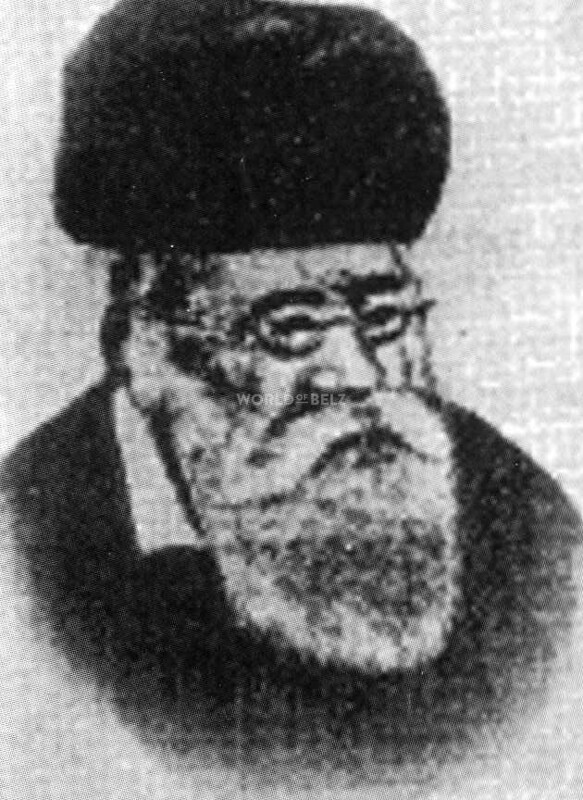 Like the series of articles that we are doing on the First Belzer Rebbe, the Sar Shalom, we’ll do a series of articles on the Mitele Ruv. The following are some of the happenings of the Mitele Ruv’s life that were recorded by the Bilgorayer Ruv z”l, some of which he repeated from his brother, the Ruv z”l, Reb Aharon. The Tzurah (figure) of the the Mitele Ruv was magnificent and brought an awe on everyone. The Mitele Ruv was very excited about Chidushei Torah. He himself used to constantly be ‘mechadesh’ Chidushei Torah and derived great pleasure when other people were ‘mechadesh’. The Mitele Ruv once gave the Sefer Urim Vetumim (from Reb Yonoson Eibshitz) as a gift to show appreciation to someone who was ‘mechadesh’ Chidushei Torah. 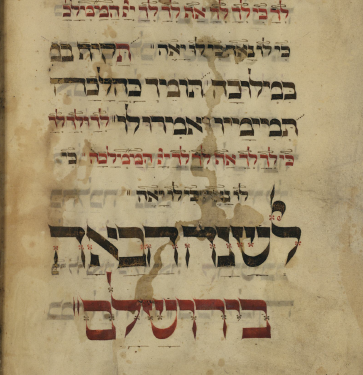 The First Belzer Rebbe put learning Torah as the central Avodah in Belz, as discussed here. The Mitele Ruv stressed Lomdus and learning with a Chiyus Gemara and Meforshim. When the Sefer Chiddushei Harim, a great work in Lomdus on Gemara from the first Gerrer Rebbe, appeared in print, the Mitele Ruv bought it for all his grandchildren. All Avodas of the Mitele Ruv were very hidden, but when one entered his house, he was always seen learning Torah. The Torahs of the Mitele Ruv are the fundament of much of the Belz thought and Torahs. The Friedige Ruv z”l said that the Torahs of the Mitele Ruv are built on strong fundaments like the words of the Rashba. His davening was like the roaring of a lion and was with a great Yirah before Hashem. Some nights he used to Daven throughout the whole night for Yeshuos for Yidden. The Arugas Habosem (the first Pupa Ruv z”l) writes that when one came to the Mitele Ruv for a Kvittel it felt like going to a father who has great Rachmanus and Ahava. He made everyone feel welcome, even people who weren’t in the best state spiritually. 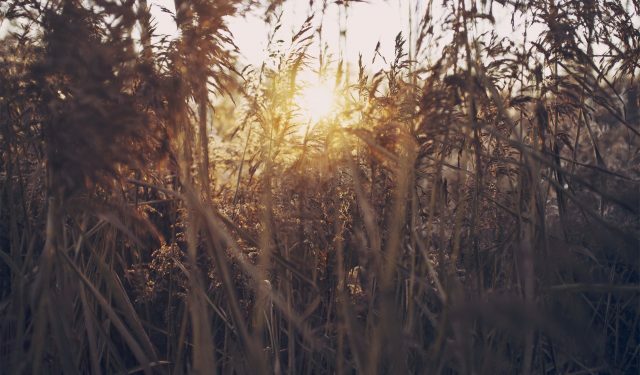 He’d first help them and then guide them to improve spiritually. The Pupa Ruv z”l writes that he himself when he would travel to the Mitele Ruv he was filled with excitement just like when one visits his father. Much can be written about the Mitele Ruv’s great leadership in countering the manipulations of the enlightened Jews. Although the Haskalah – The Enlightenment movement was in full swing in western Europe, like Germany and France, it was just starting to influence Eastern Europe. Belz was then in Galicia, which at the time was part of the Austro-Hungarian Empire. The Maskilim in Galicia had their stronghold in Levov (Lemberg) and opened an organization, ironically called “Shomer Yisrael”. Many of these Maskilim were observant but wanted to undermine Orthodoxy and especially Chasidic life. The Mitele Ruv established the organization “Machzikei Hadas”, which did many activities, including organizing Frum Yidden to vote. 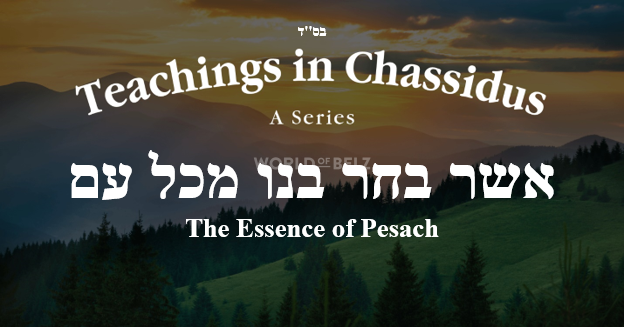 The whole idea of Machzikei Hadas and its many activities were unprecedented, especially by a Chasidishe Rebbe. The Mitele Ruv said “only right before the time of Mashiach will the benefit of Machzikei Hadas be fully understood”. The Mitele Ruv partnered with Reb Shimon Sofer, the Ruv of Krakow, to lead Machzikei Hadas. Reb Shimon Sofer was a son of the Chasam Sofer and not a Chasid. This dual-leadership underscored that the threat of Maskilim and of Haskalah is to every Yid who is a Yirei Hashem. The Maskilim used tactics of gaining control of the religious institutions in cities and towns and advancing their agenda from within. They gained power by influencing the population who had no idea of their true motives. They also tried to influence the government in Austria to enforce their agendas. Machzikei Hadas fought their efforts by opening a weekly newspaper and bringing awareness to the public of the Maskilim’s activities. Also, it pushed for Yirei Hashem to be in the leadership in Kehillos and pushed for the election of government officials who favored allowing the Frum Yidden to continue their way of life without interference. The awe of the Mitele Ruv even had a big impact on the Maskilim and they considered the Mitele Ruv’s responses when deciding on activities. Many times they backed off of their initiatives in fear of the Mitele Ruv. In the near future, we’ll iy”H expound on the life of the Mitele Ruv z”l and how much it can teach us for our times. The Bilgorayer Ruv writes that the Mitele Ruv constantly davened for Klal Yisroel for matters concerning the Klal and for matters concerning the Yachid. “Now too”, writes the Bilgorayer Ruv, “when he is not anymore in this world, he davens for us and for all of Klal Yisroel in the other world”. זכותו ותפילתו יעמוד לנו ולכל ישראל ונזכה לביאת המשיח במהרה בימינו אמן!